Ricki Herbert at work.......a tracksuit on and a ball under his arm. 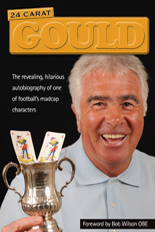 Ricki Herbert has already helped create his fair share of football records and history. Now he’s the mouthpiece for another attempt. In his role as New Zealand manager, the former Wolves defender is helping whip up interest for his country’s forthcoming World Cup play-off game in Wellington by fronting an advertising campaign aimed at selling tickets for the home leg against Bahrain or Saudi Arabia on November 14. And one of their ploys is to urge fans to attend, so they can become part of what is predicted to be the biggest football team picture ever taken. The All Whites, as they are known by way of a variation from the world-famous All Blacks rugby union side, will be photographed in front of a full stand at the Westpac Stadium, thereby ensuring a ‘cast’ of many thousands. The gimmick underlines Herbert’s desire to recreate the national fervour that swept the Kiwis to their only previous World Cup finals appearance – the trip to Spain in 1982 when he was to the fore as a player rather than coach. “What a fantastic time that was,” he says. “It galvanised the country and we are hoping to do the same now and book our place in South Africa. Herbert, 48, was one of the stars of the New Zealand side who reached Spain a couple of years before the start of his two-season, 49-game stay in Wolves’ defence. He scored a last-minute equaliser against Saudi Arabia and also netted against China in a marathon 15-game qualifying programme that saw the side travel 55,000 miles, score 44 goals and go 921 minutes without conceding. In the finals, he played against Brazil and USSR but was substitute against Holland, all three games being lost. The 1980 New Zealand Young Player of the Year and 2007 Coach of the Year is certainly a busy man as he first prepares the national side for a friendly away to Jordan next week. He led them this summer to the Confederations Cup in South Africa, where they lost two games before drawing with Iraq, and also coaches Wellington Phoenix, the Hyundai Australian League club who have Bobby Gould’s son Jonathan in their backroom as well. 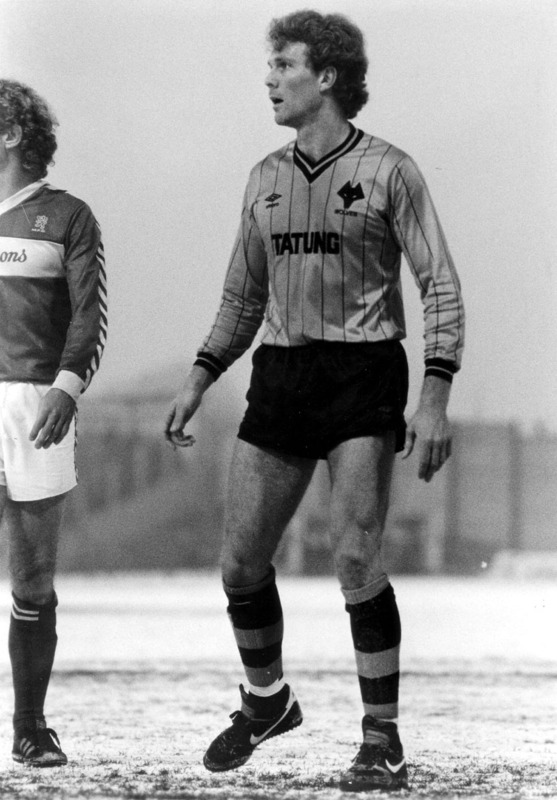 Herbert patrols the Molineux penalty area during a wintry snap in 1984-85. 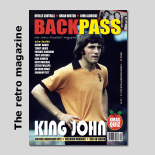 Gould actually played in last weekend’s 2-0 defeat in Sydney, the city from which Herbert was recruited to Molineux by Tommy Docherty in 1984, but will be back in the dug-out for tomorrow’s home game with Adelaide after first-choice keeper Mark Paston was given paternity leave. Herbert, who had trials with Southampton and Middlesbrough as a player, became friendly last year with Roy Keane when both studied All Blacks coach Graham Henry at work as part of their UEFA pro licensing course. He returned to Molineux around ten years ago to spend time looking at Wolves’ coaching methods. Posted on: Wednesday, September 2nd, 2009.